Goal: To prevent summer learning loss, provide small group mentoring and whole-girl enrichment. It is simple. One click, and you pay with paypal. Helps girls be Strong, Smart & Bold! 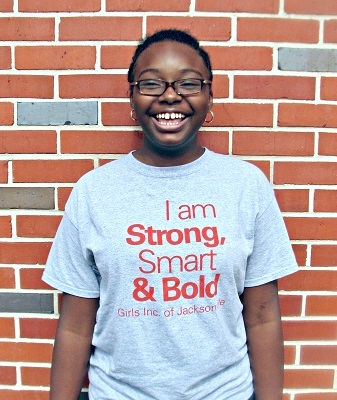 Girls Inc. inspires all girls to be strong, smart and bold through life-changing programs and experiences that help girls navigate gender, economic and social barriers. Research-based curricula, delivered by trained, mentoring professionals in a positive all-girl environment equip girls to achieve academically; lead healthy and physically active lives; manage money; navigate media messages; and discover an interest in science, technology, engineering, and math. Our goal is to break generational cycles of welfare and poverty through our whole-girl enrichment programs. Our summer camp program is designed to prevent summer learning loss. We assess participant�s reading at the beginning and end of camp to measure our success in maintaining and growing their skills over the summer. In 2017, 98% of our camp attendees either maintained or improved their reading and math skills. Our daily schedule incorporates fun, experiential literacy, math, and science and health curriculum. Our small group mentoring program serves girls ages 11-14 and also includes our Be Bold curriculum. Custom matches of mentors and mentees based on areas of interest and career goals. Professionals will share insights and experience and provide guidance to aspiring and inspiring young women. Mentees will participate in sessions of fun and engaging programing geared towards inspiring all girls to be STRONG, SMART and BOLD!